Weston Park Bandstand in the heart of the city is a unique location for your wedding day – the grounds of Weston Park in Sheffield are amazing and the bandstand is an adorable little structure in the middle where your ceremony can take place. Its the last surviving Victorian bandstand in a park. You are spoilt for choice for places for photographs in the grounds with the museum, ponds and large wooded areas. There is even always an ice cream van at the entrance should you need some sustenance! We love quirky Sheffield wedding venues and this one is a fantastic place to photograph weddings in Sheffield. Helen & Paul love to photograph weddings at Weston Park in Sheffield. 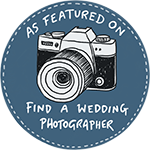 We are photographers based in the Lake District but we also photograph weddings in Sheffield, the Peak District and all over Yorkshire!